Chicago really does have the best of both worlds. 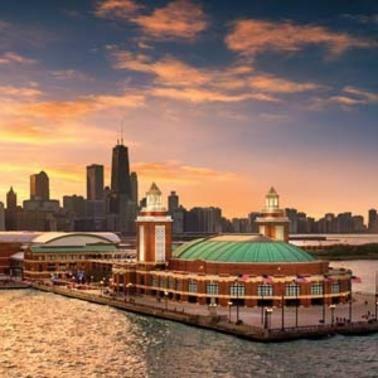 While the city is hailed for its famous skyline and urban neighborhoods, it also squares up right next to Lake Michigan, one of the Great Lakes known for its ocean-like features. 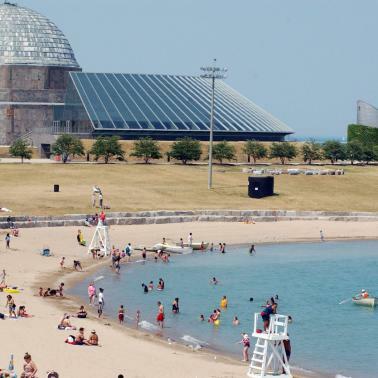 Despite the water’s chilly temperatures, Chicago beaches are a popular destination during summer for locals and visitors alike. But what is the beach without a sandwich (pun intended) to munch and a drink to sip? Have to stay energized and hydrated if you are out in the sun all day. 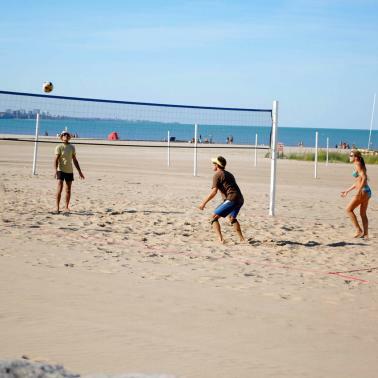 Luckily, Chicago beaches are dotted with some of the best stops in town, with even more opening soon. Starting up north, we have NachoMama’s Beach Bar at Osterman Beach (aka Hollywood Beach). Known for their margaritas and Latin style fare, it’s hard not to have a good time at NachoMama’s. You can enjoy tableside service at their outdoor patio, or you can your meal from the concession stand to the waterfront. 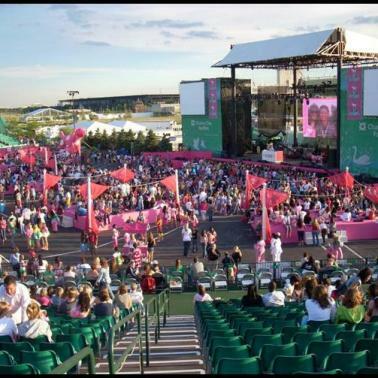 The largest beach restaurant establishment on the North Side of Chicago is The Dock at Montrose Beach. 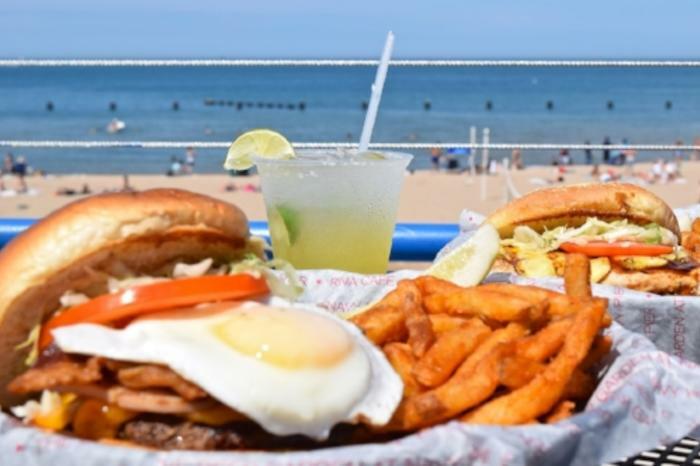 After playing in the waves, strolling in the gardens, or climbing the dunes at Montrose Beach, you can continue enjoying Lake Michigan from The Dock’s large open patio. The food is simple and fresh, the scenery is spectacular, and there is sometimes live music. North Avenue Beach is home to one of the most popular beachfront restaurants, and also the future home of some high-end dining. 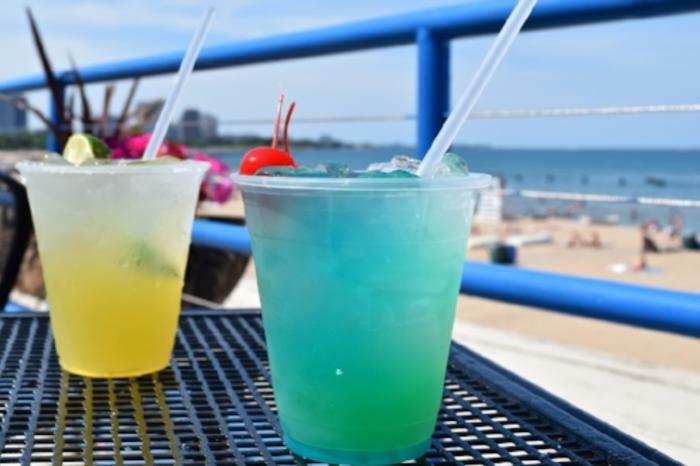 Many people will recognize Castaways as the landlocked ship along Lakeshore Drive, but this beach bar and grill is much more. While the first level’s menu consists of ice cream and burgers, the rooftop features everything from appetizers to daily drink specials to desserts. 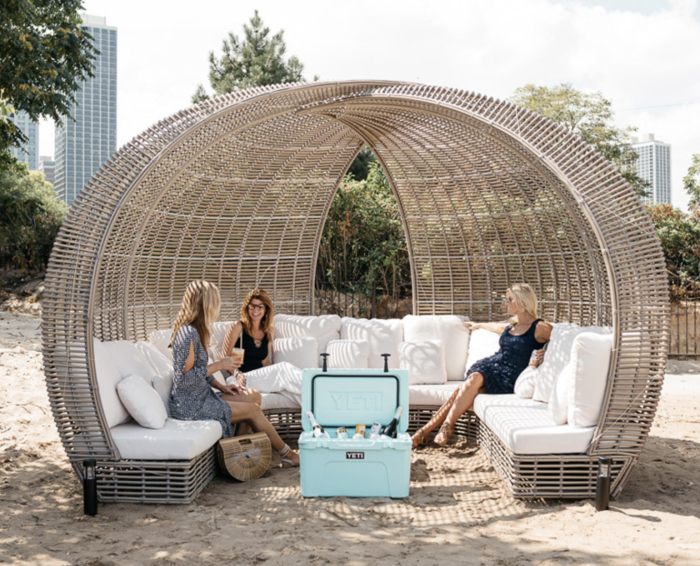 Additionally, the resort-inspired Shore Club will open up at North Avenue Beach. Offering three different spaces – the Patio, the Oasis, and the Restaurant – the Shore Club’s menus will feature Mediterranean-inspired sharing plates from Executive Chef Elizabeth Tokarczyk. From brunch to cocktails, the Shore Club will be available and accessible to everyone. 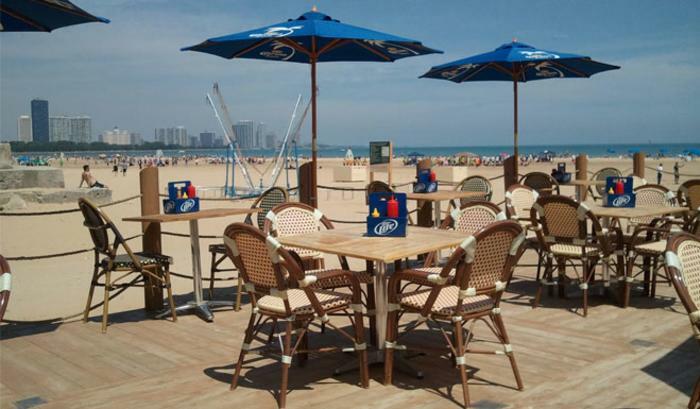 At the north end of the Magnificent Mile lies Oak Street Beach and its picturesque beach bar. 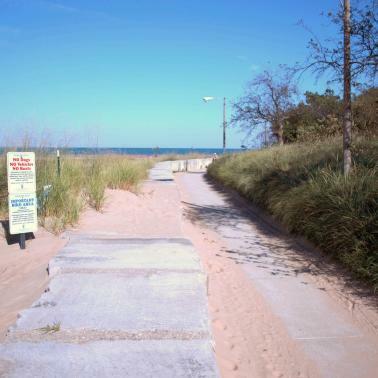 This beach in particular is the collision of sky-scraped Chicago and the sandy beaches on Lake Michigan. 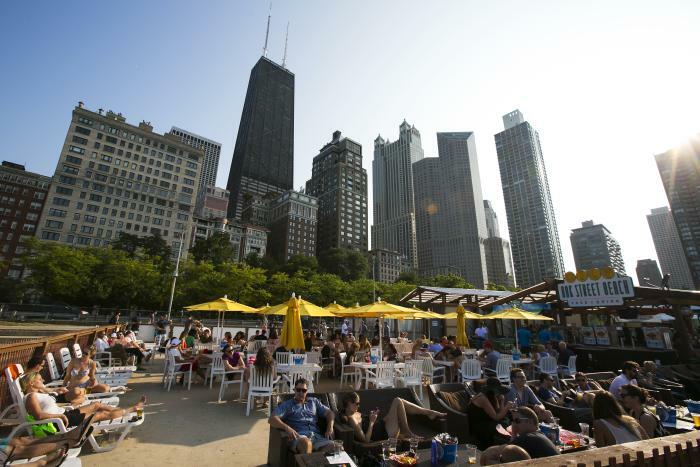 Despite the somewhat luxury environment, Oak Street Beach Food + Drink’s menu is very casual. Pair your chips with guac or queso, decide between a burger or dog, and wash it all down with a locally brewed beer. 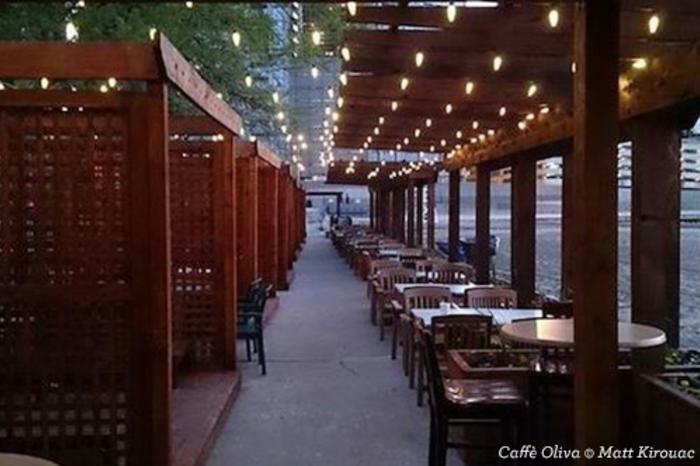 At the intersection of north and south shores, you will find Caffe Oliva at Ohio Street Beach. Another beachfront restaurant with a Mediterranean-inspired menu, something unique about this one is the wooden cabanas, each bedecked with a playful spray of flowers and plants. Right next to Navy Pier, Caffe Oliva also makes for some entertaining views of the famous Ferris wheel and fireworks. 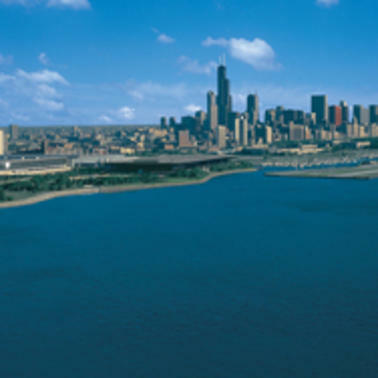 Moving south, you have 12th Street Beach on Northerly Island, just south of the Adler Planetarium. Here you can find the hidden gem of Del Campos Tacos Stand. This is perfect for the people who don’t want to sacrifice their time on the sand for a meal. Grab your tacos and take them right back to your towel. 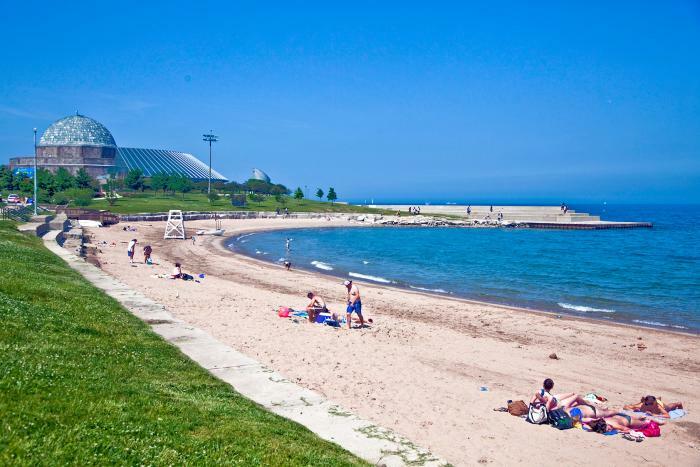 The Hyde Park shoreline hosts Oakwood Beach, where you can also find the Chicago Lake Shore Café. Comfort food, seafood buffets, and live Jazz music can all be found at this establishment. It’s not right on the beach, but it is just across the street. 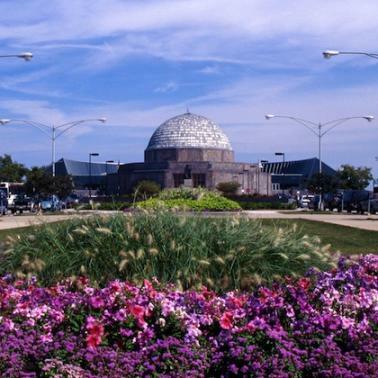 South Shore Beach, home to the South Shore Cultural Center, also houses the Parrot Cage, a Washburne Culinary Institute establishment. Here, the food is prepared and served by Washburne Culinary Institute students, some of the most highly acclaimed hospitality and culinary students in the country. 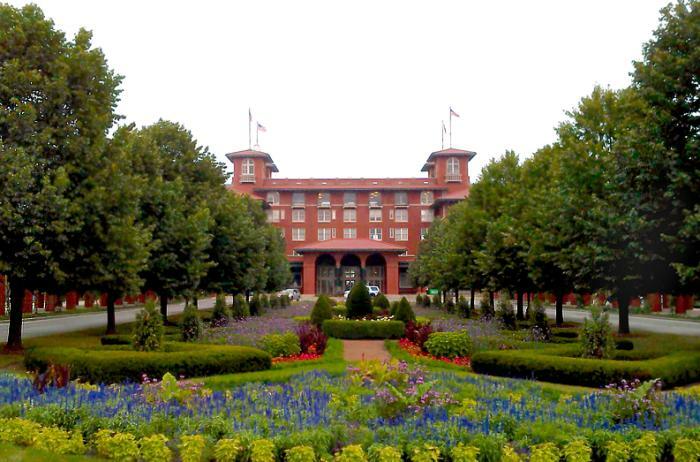 You have the pleasure of being inside a historical landmark, and seeing views of Lake Michigan and the South Shore golf course.